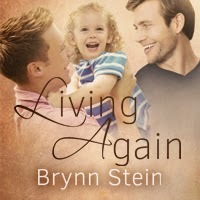 Today I'm joined on my blog by writer, Brynn Stein. She's busy doing a tour to promote her novel Living Again, and I'm lucky enough to play host today. Thanks for visiting the next stop on my blog tour. I wanted to talk about one of my lead characters, Jonah Thacker, from my newest book, Living Again. Jonah is a private nurse with a bit more medical training than most. He went through medical school to be a doctor, but before he could start his residency, his sister had a severely handicapped baby, and her husband left her to fend for herself. Jonah stepped up and tried to help raise the boy, only to have tragedy strike again when his sister died while the boy was still young. Now he’s raising Ethan by himself and needed a more flexible schedule than he could get as a resident. His newest client is Daniel Larson, a single amputee who subsequently broke his one remaining leg. Since Daniel also has other injuries, he’s going to needed help getting around for a while. The problem is, Daniel is gorgeous and Jonah is instantly attracted. He’s a professional, however, and he knows he cannot pursue a relationship with Daniel while he is his client. Jonah is hired by Daniel’s Uncle Lawrence, with whom Jonah is originally impressed, until he actually met him. Jonah was so glad Daniel had someone taking care of the financial and logistical side of things. When he had gotten the call from the agency and had gone to the hospital to meet his new client, he’d been shocked to find that Daniel had just been admitted about four hours before. Usually, clients or family called the agency closer to their exit from the hospital, not the entrance. As soon as Mr. Thompson had found out that his nephew had broken his one remaining leg, not to mention his arm and ribs, he had set right out to find help for him. He had told the agency that the provider should start right away and call him when Daniel woke up. A couple of hours after Daniel had gotten the gauze removed from his eyes, his uncle showed up at the hospital, having been called by the nurses. “Hello, Daniel,” the uncle had said. “Uncle Lawrence,” Daniel had answered. Jonah was shocked by the lack of affection in the men’s voices. From the way the uncle had taken charge of all the paperwork and hired private help, he would have guessed that the two men were close. But thinking back, it had been unusual for an uncle who was close to his nephew not to show up even once during the two days Daniel had been unconscious. According to the look on Daniel’s face, this was probably more like Mr. Thompson’s usual attitude. The distance in their voices made a little more sense now. Thanks for post and the giveaway! I haven't read anything from Brynn but the book sounds interesting. Hi Brynn, As a physician, I love books where characters have medical training, I am definitely adding your book to my TBR list. I am enjoying your blog tour. Thanks for the post and giveaway! I haven't seen your book before but it's definitely going on the TBR list now. Ok...I don't have time to follow the entire tour but I have enjoyed finding new blogs to visit. Thanks for the post and hope that your first tour has been a positive experience. Once again, good luck on the release! Thanks everyone for the comments. I've entered you into the raffle. You're added to the raffle Lee. 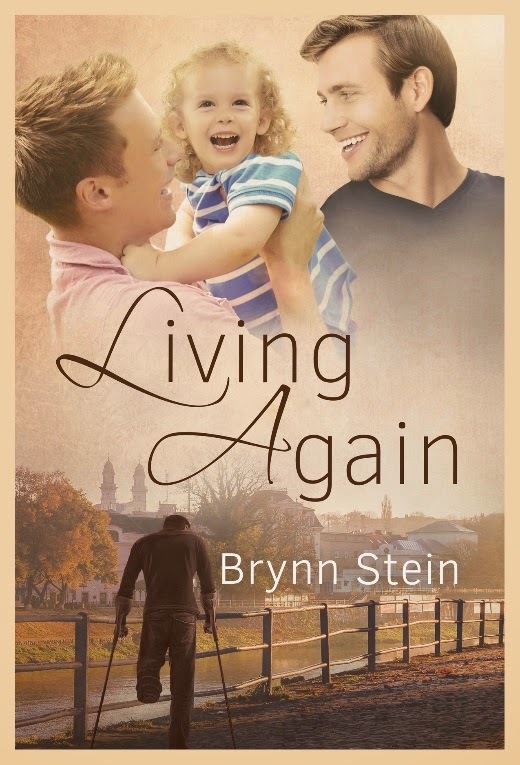 Thanks so much to everyone who followed the blog tour for Living Again. I loved getting to know all of you, and I had a ball visiting all the various blog sites. I chose three winners to the drawing, as promised, yesterday and am now posting the winners at all the blog sites. Winners, please email me at brynnstein2@gmail.com to give me your information. Jen, I'll need your mailing address so I can send you the signed copy. Please also tell me if you want me to put anything in particular in the signature. Ardent and Trix, let me know if you have a Dreamspinner account. It's easier on this end if I can just tell them who you are and have them transfer a copy to your bookshelf. If you need other arrangements, please let me know that too. Again, thanks SO much to all the hosts who helped me out, and thanks to all you who commented.